Diversity in engineering: Who is furthering the cause? Increasing the level of diversity and inclusion across the various industries that make up our professional workforce is vital, and this is doubly true in STEM (Science, Technology, Engineering and Maths) fields such as engineering. 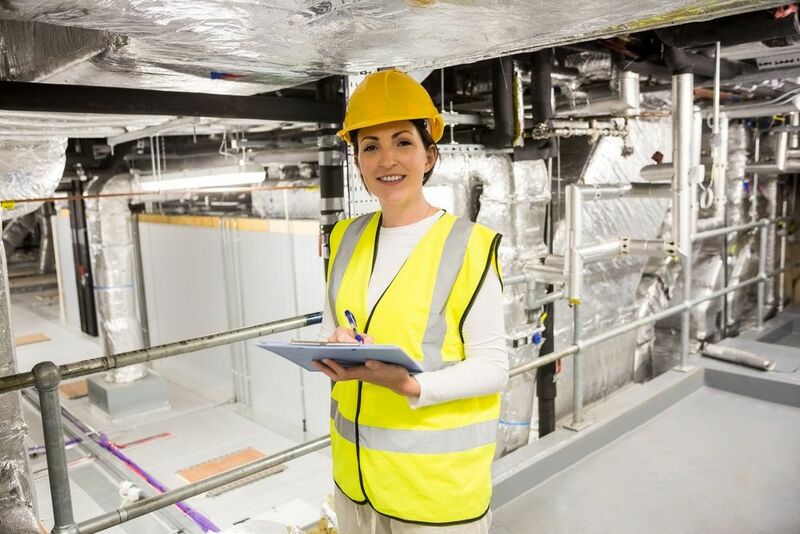 The engineering industry is traditionally male-dominated in its makeup but there are, thankfully, a great number of wonderful organisations and schemes that are working towards bringing balance to this most vital of professions. It’s not just gender diversity that needs to be addressed in professions like engineering, of course, welcoming individuals from a wide array of backgrounds, such as racial and economic, is important as well. In this guide to diversity in engineering, we’re going to take a deep dive into the issue, highlighting the situation as it currently stands, promoting the multifarious companies, societies, and campaigns that are working to level the playing field; and hopefully gain a clearer idea of the direction in which the industry is heading. Before we jump into the many tremendous companies and programmes involved in promoting diversity in engineering, we wanted to set the scene regarding the current state of diversity in the industry, as well as providing a few stats and figures that will help paint the picture. According to WISE – a non-profit community interest company which energises people in business, education, and industry to increase the participation and contribution of the success of women in STEM fields. 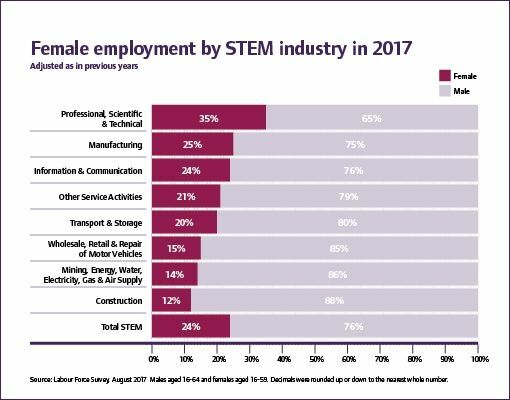 Women, as of 2017, make up 23% of those working in core STEM occupations in the UK and only 24% of those working in STEM-based industries. However, the trend as it pertains to women in engineering is trending upwards, which is, of course, good news. WISE has found that there are more women working in core STEM now than at any time in history, with 61,430 more women working in core STEM in 2017 than in 2016. When it comes to engineering specifically, from 2016 to 2017, there was a jump of nearly 12,000 additional women working as professional engineers, with women now comprising 11% of total engineers. “Diversity works! There is plenty of evidence linking the participation of women to improved business performance, for example, Mark Carne, Network Rail CEO, said that they found operational teams with 20% or more women had higher levels of employee engagement which in turn leads to higher productivity. “There is still a long way to go across all STEM (Science, Technology, Engineering and Maths) areas from the classroom to the Boardroom. Firstly – we need more visible role models of women inventing, developing and making things. Secondly, support from managers and leaders is absolutely critical to changing organisational culture. Thirdly – data is a powerful wake-up call to get people to take action. 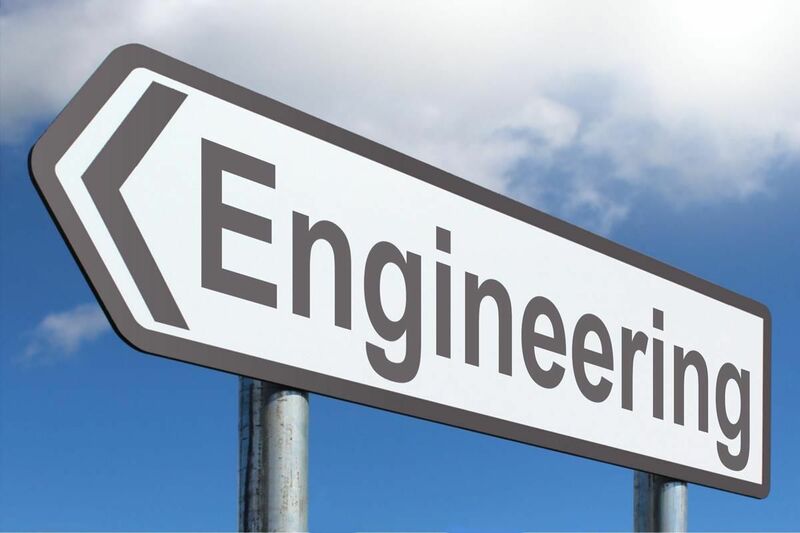 The Engineering Council, which is the regulator for the engineering profession in the UK, is, as a result, one of the industry’s most important players. 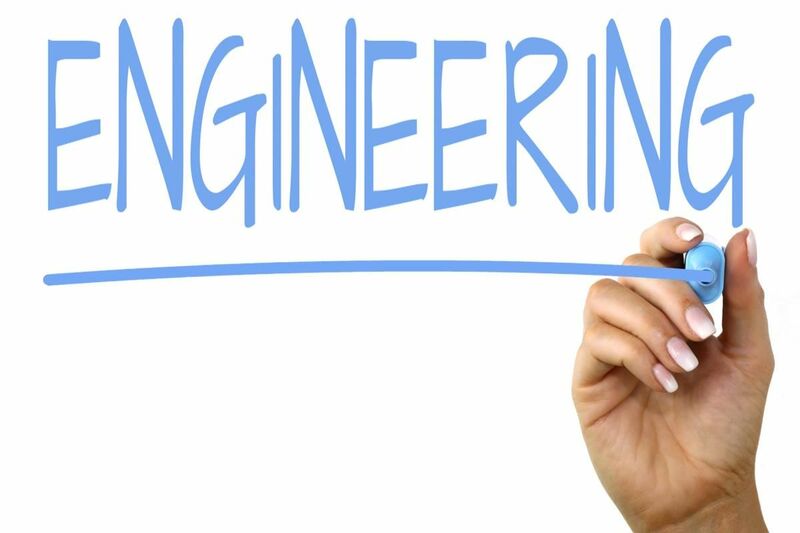 Regarding data on the number of women registering as Chartered Engineers, The Engineering Council told us: “Based on our Annual Registration Statistics Report 2017, 13.09% of new (final stage) Chartered Engineer registrants last year were women, and that the number of new final stage registrants who are women has increased every year from 2014-2017.” So, while it is certainly good news that the number of women registering is moving in the right direction, there’s no question that the percentage of registrants can be increased significantly. Semta (The Science, Engineering, and Manufacturing Technologies Alliance) is a not-for-profit organisation, led by employers, that looks to transform the skills and productivity of those who fuel the engineering and technologies sectors. With a mission of inspiring the next generation of engineers and showcasing the amazing STEM talent that resides in Britain, they have a key responsibility in promoting diversity in the sector. Luckily, Semta takes this responsibility very seriously and works hard to make sure the future of British engineering is an incredibly bright one for people of all backgrounds. Ann Watson, the CEO at Semta, spoke to us about the important issue of diversity in engineering, offering us her thoughts on the current state of things and what she believes still needs to be done: “We all know that the engineering sector isn’t as diverse as it could and should be – it’s still very male and pale. That’s a shame, as it means we’re not bringing in all of the talent we could be from wherever it exists. While nearly half of school-age children would consider a career in engineering, less than a third of that group are girls. There’s so much work to be done in schools to ensure that girls aren’t being turned off an engineering career at an early age – the Year of Engineering that’s ongoing is a good start, but careers advice is nowhere near up to scratch. “When almost a third of male teachers think STEM careers are more suited to boys than girls, it’s hardly surprising that 27% of girls say STEM careers aren’t for them. We can and we must prove to girls that engineering can offer them a fun, interesting and worthwhile career – because there are so many fantastic women working in our sector who did make it and who are thriving. “Nearly a third of engineers from minority ethnic backgrounds say engineering culture isn’t very inclusive, while 85% say assumptions are made about them based on their ethnicity. 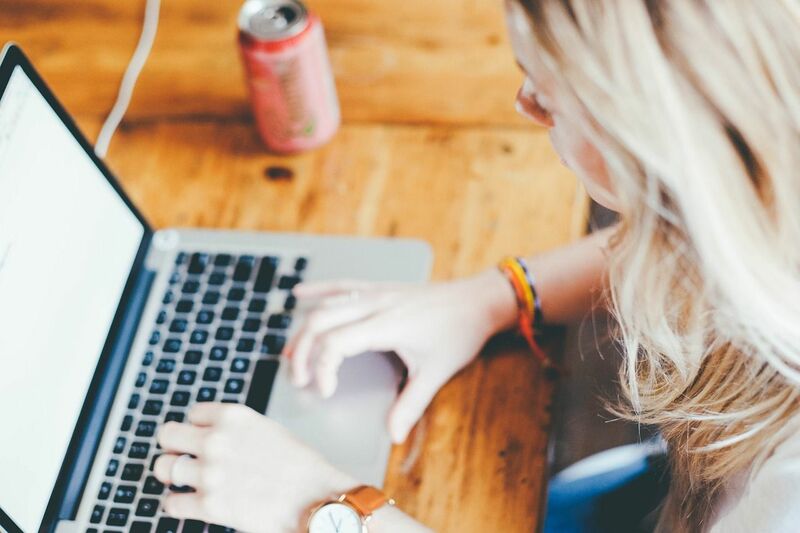 We’ve made some good progress in terms of how women are treated and perceived in engineering, even while we’re working to increase their numbers, but we need to ensure that this isn’t the sole focus. We must ensure as a sector that efforts are being made to ensure that every single individual is valued for who they are and able to contribute fully. “There’s no question that more needs to be done to attract diverse talent into engineering. The numbers speak for themselves and it’s not good news. Only 12% of engineers and technicians are female in a workforce of 47% women. Likewise, only 8.1% of engineering workers are from ethnic minority groups, compared to 12.7% in non-engineering sectors and 12.2% of the broader population. “There is strong evidence that girls and people from BAME backgrounds are being lost at every stage of the educational pipeline and so, tackling this issue needs to be a key priority for the industry. Employers in the engineering industry have a very significant role to play in promoting equality and diversity, working with schools, universities and on their own. EngineeringUK supports that effort to showcase the range of careers on offer, highlight the different routes into the industry and help girls and boys from all backgrounds see they could have a rewarding career in engineering. What is being done to improve diversity in engineering? “The bigger companies are on the whole doing their bit to be more welcoming to a diverse talent pool but smaller employers can find it more difficult, so we’ve produced a special toolkit for them in conjunction with WISE and the ICE which is packed full of examples of good practice. It’s free, it’s online and it’s easy to use. 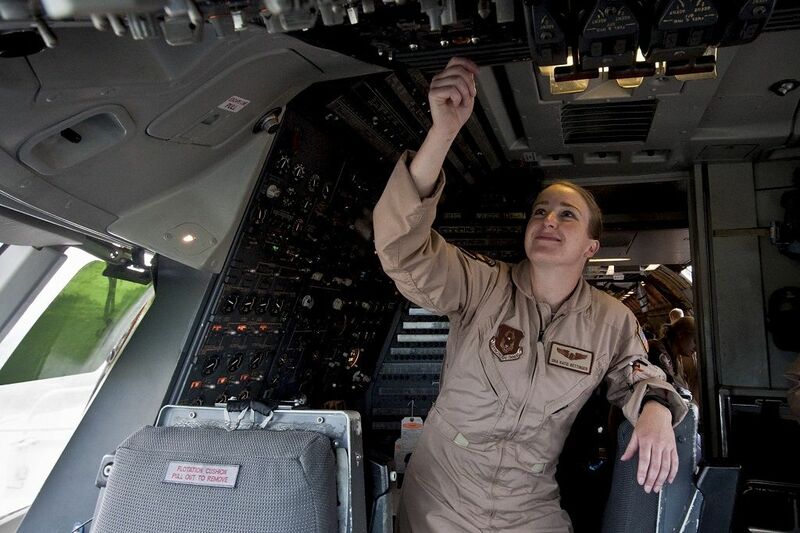 “We’ve recently signed the Women in Aerospace and Aviation Charter, which commits organisations in that sector to take responsibility for boosting their gender diversity and setting targets to measure their success. We’re working on T Levels – I sit on one of the panels developing the qualifications in engineering – and on Sector Deals in a couple of engineering sub-sectors, and we’re very keen to ensure that the need to develop a diverse talent pipeline is reflected in the outputs from those processes. “We’ll soon be opening entries for our 2019 Semta Skills Awards, and we’ve got a special category for diversity in engineering – I would encourage readers to think about the brilliant people they know who are working hard to make our sector a more representative one, and to nominate them when entries open. Our Best of British Engineering overall award winner this year was a fantastic young female apprentice, who left her home village in Scotland to go and work for Rolls-Royce in the Midlands. The awards really are a great opportunity to showcase your organisation’s finest talent of all races, genders, ages, and backgrounds. EngineeringUK, as discussed, is ideally situated to improve the state of diversity in engineering and we were delighted to speak to them about the important work they have been doing and will continue to undertake in the future: “We work centrally with national employers and offer dedicated regional support across the country, recognising the distinct needs and approaches of individual companies in different areas. This partnership working, which extends to education, professional institutions, and the third sector, covers the development and promotion of effective initiatives to inspire young people to consider a career in engineering. That’s what we’re all about – addressing the challenge, inspiring tomorrow’s engineers and increasing the talent pipeline into engineering. “The lack of diversity in engineering means the industry is consistently missing out on great talent, which it simply can’t afford to do given the annual shortfall of engineers and technicians is as much as 59,000. Of course, this also means there are young people who are missing out on roles that pay well, are hugely rewarding and help make a difference and shape the world we live in. In showcasing what modern engineering is all about, inspiring them with stories of real engineering professionals and making available up-to-date accurate careers information, we aim to inspire more young people to consider a career in engineering. “We aim to inspire, engage and inform tomorrow’s engineers via programmes designed to excite young people about the variety and opportunity presented by a career in modern engineering and give them the chance to meet people already working as engineers. That includes Tomorrow’s Engineers and the Big Bang programme comprising The Big Bang Fair (the UK’s largest STEM event for young people – 80,000 people over 4 days at the NEC), The Big Bang Competition, which recognises and rewards the amazing achievements of young scientists and engineers and the Big Bang Near Me programme of regional fairs and micro school-based events that take place across the UK (over 170K young people involved last year). Tomorrow’s Engineers Energy Quest – A free two-part programme for schools funded by Shell that encourages young people to learn about sustainable energy, the engineering behind it and the careers behind that. Tomorrow’s Engineers EEP Robotics Challenge - A curriculum-linked programme for teams of 11 to 14-year-olds who learn how to build, program, and control autonomous LEGO robots and take them to compete in challenges at regional and national level (led by EngineeringUK and Helsington Foundation in partnership with the RAF). “The Tomorrow’s Engineers careers resources provide clear, consistent guidance for young people and their teachers and parents. They are developed in conjunction with the professional engineering institutions and explain what engineering is all about, the huge variety of roles available and the university and apprenticeship routes into those engineering roles. They’re all are available to download or order via the Tomorrow’s Engineers website. Through their work with employers thanks to their Diversity and Inclusion Leadership Group, the work they undertake with the professional engineering institutions, and their internal work with case studies looking into high profile female engineers, the Royal Academy of Engineering is truly at the forefront of tackling the issue of diversity and also acts as a tremendously helpful resource for those looking to get involved. The academy ran a survey of over 7,000 engineers in 2017 that looked at the culture and inclusion within engineering, producing telling statistics such as 81% of responding engineers being male and 92% white. The full results can be found here. Creating and analysing fresh insight and data about gender balance from schools to business. This year, 5,000 more girls took STEM A-levels than in 2017, which is a cause to celebrate, but there is still a long way to go. Working with our members to develop and share best practice – we have over 200 members and work with them with tools like our Ten Steps. Our annual Awards scheme recognises individuals and organisations who are making a real difference in STEM and share their stories with a wide audience. For those interested in following their work, you can keep up to date with all that WISE is up to via their Twitter handle @thewisecampaign. 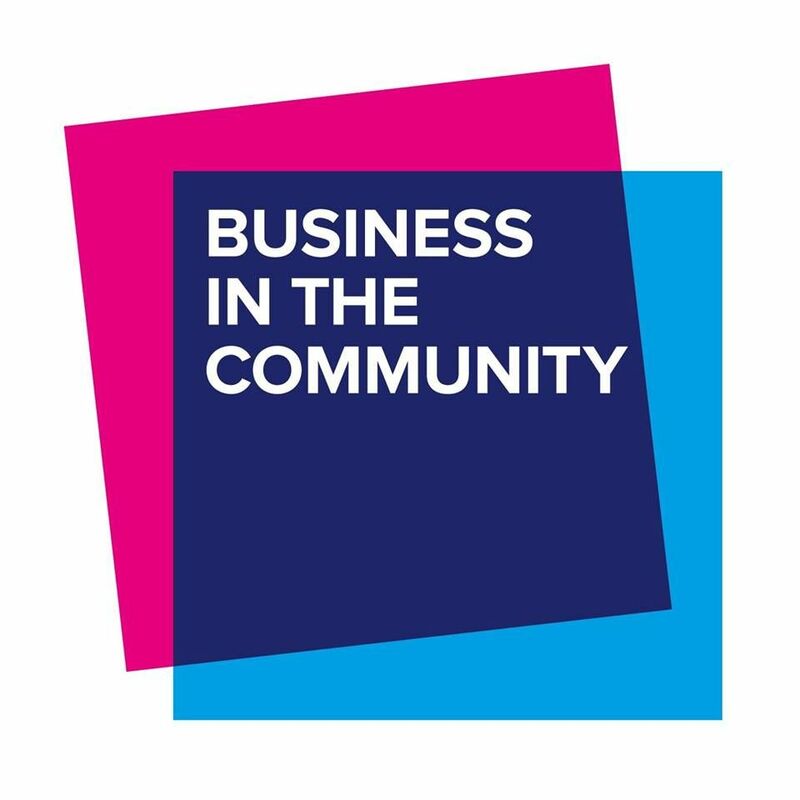 Business in the Community (BITC) is a business-led and issue-focused charity with extensive experience in mobilising business in a number of areas. Through its many programmes and campaigns, they are able to engage thousands of businesses. One such BITC programme is the Diversity Benchmark, a management tool to help organisations evaluate their performance and ultimately inform their decision making when it comes to workplace diversity on areas such as age, gender, and race. Rachael Owhin, a diversity adviser at Business in the Community, spoke to us about their work in this area and why it’s so important, particularly when it comes to the engineering industry: “There are a growing number of diversity policies being developed in engineering, but current trends show that policies to develop women are not matched by policies that support the development of BAME talent. Our diversity benchmark tells us engineering as an industry receives far higher applications from men than women, but it’s positive to see that at the hiring stage the disparity narrows. "At the graduate application stage, numbers are more closely matched between men and women, but the gap opens at the hiring stage. BAME employees are poorly represented in leadership and there is an even lower representation of BAME women in the industry. “We support our partners to remove biases in recruitment by involving diverse employees in different stages in policy making and in hiring decisions. Our campaigns champion diversity around age, gender, ethnicity and mental health, but what gets measured gets changed, so taking part in a diversity benchmark is a great starting point in evaluating where to focus your diversity efforts." “The Engineering industry over the last five years has undergone a rapid transition to become more inclusive. Organisations such as InterEngineering, AFBE and WES have brought companies, institutions and government together to work on increasing diversity in engineering. By supporting organisations such as InterEngineering, the rate of change can be not only increased but help to make the change truly sustainable. Inclusion is not a race but a common goal for all. To close out our deep dive into the subject at hand, we wanted to bring you a short interview between McGinley Support Services and a prominent woman who is currently working in the engineering sphere. Romany O’Dell has a degree in engineering and is currently a senior development surveyor and residential property developer, as such, she was able to provide some very useful insight into the current state of diversity in engineering and her experiences in the industry. 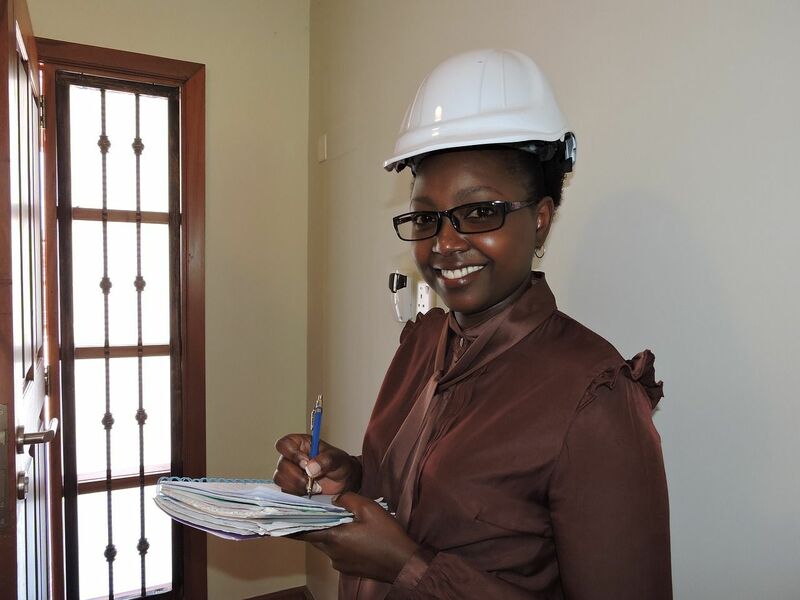 Do you believe enough work is being done to further female employment in engineering? In your opinion, what are the main challenges facing women in gaining a stronger presence in engineering jobs? “The first issue is the attitude of men. A lot of women, especially younger women, are asked to make tea, take notes, and their ideas are dismissed, often when being the only female in the meeting. The industry has been male-dominated for a long time and attitudes take time to change. How big of a role do you believe higher education needs to play and do you think it is currently succeeding in attracting enough women to engineering subjects? Are you confident about the future of gender diversity in the engineering industry?